Paralympic Sailing has finally gotten underway at the 2016 Rio Games, following a practice race. In the build-up to the Rio 2016 Paralympic Sailing Competition the sky has been a dull shade of grey, but the minute the first day of racing started, the stereotypical Rio de Janeiro sunshine came out with a 10 knot wind to boot. It was a glorious opening session of sailing. And it wasn’t just the elements that delivered either as current Paralympic champions continued where they left off from London 2012. 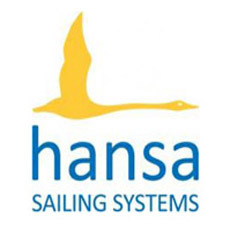 The day began with a moment of reflection as Technical Delegate David Staley led a moment of silence for Ian Harrison MBE who passed away in late August, and quite fittingly a Memorial Service was held in his Great British home county on the same day as the Paralympic sailing begun. 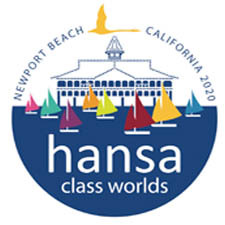 A pioneer of disabled sailing, Harrison was key to the sport being accepted as a Paralympic medal sport in 2000 and was also the Technical Delegate for that first Paralympic Sailing Competition in Sydney. Sailing on the Pao de Acucar (Sugarloaf Mountain) race area, Australia’s Daniel Fitzgibbon and Liesl Tesch lead the SKUD18 fleet, taking a bullet and a second place to sit top of the leaderboard on three points. Race one was a statement of intent from the Paralympic champions as they led at every mark. They narrowly missed out on a perfect day due to a determined Canadian team of John McRoberts and Jackie Gay who kept the Aussies at bay in race two to take the win by just four seconds ahead of their rivals. Among the excitement, it is McRoberts and Gay who sit in second on the leaderboard with six points as they finished fifth in the opening bout to complement their bullet. Equal on points are the current world champions, Poland’s Monika Gibes and Piotr Cichocki. The Polish team took their first world title in the lead up to Rio 2016 with a very consistent scoreline in Medemblik, the Netherlands. With two third place finishes it looks like more of the same, but with Fitzgibbon and Tesch coming out of the blocks hard early on, the Polish team will need to take some bullets to keep up their hunt for Paralympic gold. Rounding out the top five from day one are Marco Gualandris and Marta Zanetti (ITA) in fourth on seven points and Alexandra Rickham and Niki Birrell (GBR) in fifth on eight points. The day could have actually been a lot worse for the British team but they did well to drag themselves up the fleet in race two after taking some penalty turns to keep themselves in contention in the overall competition.